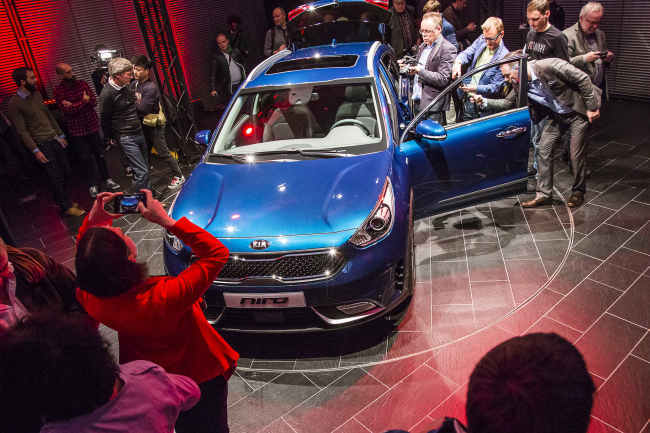 Kia Motors, the nation’s second-largest carmaker, is ready to debut Niro, its first hybrid sport utility vehicle, in Europe by hosting a media preview event in Frankfurt, Germany, on Wednesday. Kia plans to officially debut the compact SUV in Europe during the 86th Geneva International Motor Show in Switzerland between March 3 and 13. NEXTKia Motors’ Sorento picked as best mid-size SUV in U.S.